Meet Me at the Corner is an interactive video collection offering virtual field trips for kids. The videos introduce kids to people and places from all over the world. Meet Me at the Corner’s collection includes topics that will interest kids such tarantulas and hedgehogs, authors, careers, inventors, and the list goes on and on. Meet Me at the Corner enhances the video experience by offering challenges and questions for kids to tackle. The learning is further extended through the links that Meet Me at the Corner pairs with each video. Meet Me at the Corner is unique in the fact that it encourages student participation by allowing the submission of videos to express themselves and their interests. Meet Me at the Corner is a great resource to add to your digital toolkit. 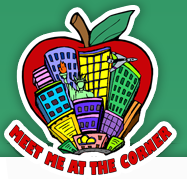 The videos offered by Meet Me at the Corner will enhance lessons you have planned for your classroom. Copyright a Mystery? Here's a Little Help! Copyright Kids a site created by the The Copyright Society of the U.S.A, which fosters the study and knowledge of copyright law and the rights in literature, music, art, theater and movies. Copyright Kids is an web-based tool dedicated to teaching students the ins and outs of copyright. 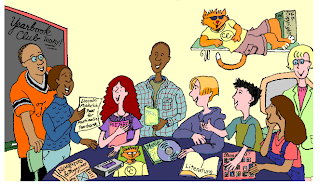 Copyright Kids teaches basic information about protecting your own creations, offering the basics of copyrights, copyright definitions, and answers basic questions students may have. Copyright Kids also offers a parent/teacher component. 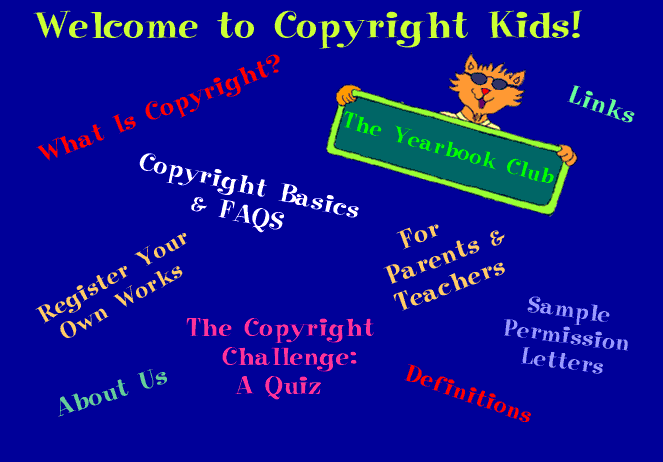 The homepage of Copyright Kids allows quick access to links offering information on each given topic. Each page then offers helpful links to increase understanding, as well as providing examples of copyrighted materials. Copyright Kids also offers the Lincoln Middle School Multimedia Yearbook Club. This portion of the site guides students though copyright issues, along with Copyright Cat. Working with the yearbook club students learn how copyright laws may actually effect them and why it’s important. 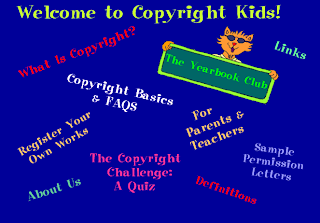 Copyright Kids is a nice copyright resource for the classroom. Definitely worth taking a look at. Big shout out to EDge21 for sharing this resource. Author adminPosted on July 22, 2013 Categories GeneralLeave a comment on Copyright a Mystery? Here's a Little Help! NoRedInk is a web-based resource that helps students improve their grammar and writing skills. NoRedInk provides a fun way to encourage kids to enhance their grammar and writing skills by using their favorite celebrities, movies and TV shows, friends, and personal interests. Teachers set up classes within NoRedInk and then give students the class key code. Students are then able to set up accounts and email accounts are not needed when the class key code is used. NoRedInk keeps track of student progress based on the practice questions, quizzes the students take, and grades earned on the quizzes. NoRedInk offers students the chance to take practice quizzes on their own, takes quizzes assigned by the teacher, and complete assignments that have been created for them. NoRedInk also allows students to view their own progress and help determine where they need more practice. The account was easy to set up and site is very intuitive. It’s worth checking out. It could become one of your new favorite resources! Looking for a way to minimize the distraction the web creates for students while in the middle of a project or lesson. Jog the Web is a nice website that helps with this sometimes daunting task. Jog the Web is a web-based tool that allows the user to create a Jog List of websites. It is quick and easy to create. Give the list a title and then add the title and url of the pages you want. Once you have chosen to save your Jog List then Jog the Web allows you to share your list with others. Jog the Web could be a valuable tool for any classroom, any content area. After creating an account then Jog the Web keeps a list of all the Jog Lists you create, allowing you to access them at anytime. This is one of my new favorite tools and I am looking forward to sharing it with the teachers I work with. Thanks to Twyla Felty for introducing me to Jog the Web.